On August 1, 2014, we're excited to see "Guardians of the Galaxy" on opening night in IMAX at Cinema Banque Scotia Montreal. 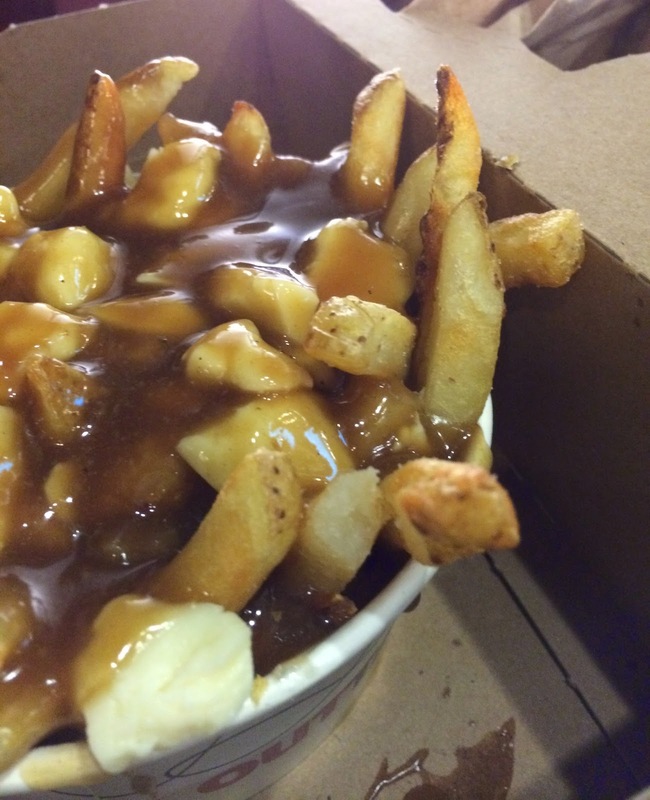 We got there early enough to snack some before the show started, and I got a poutine from Outtakes. Outtakes is a Canadian owned and operated company, and a first location was opened in 1998. Currently they run about 90 branches serving 100% angus beef burgers, nachos, poutines and etc. They also had some chains' products like "Pizza Pizza" and "TCBY" also. 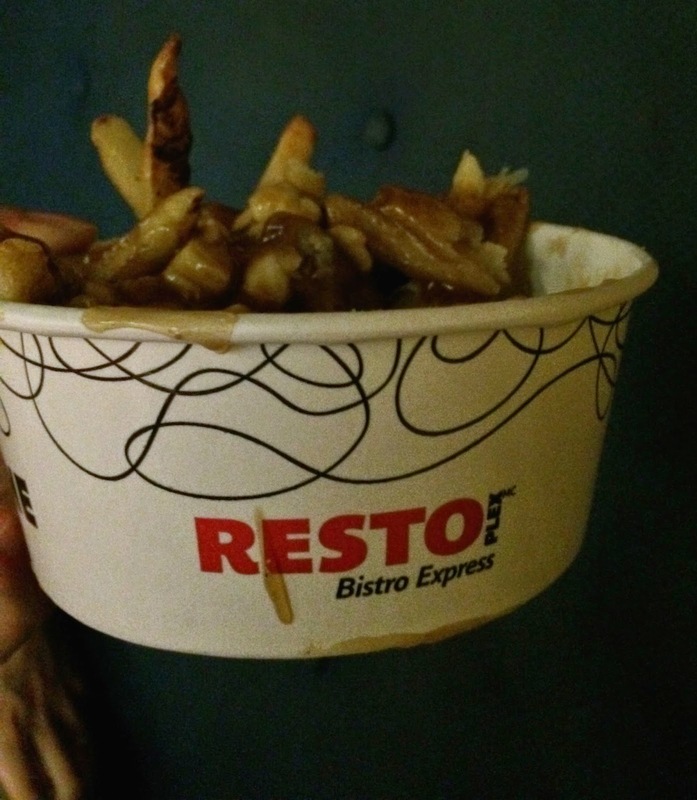 As I usually do, I chose "classic" to see what it'd be like their orthodox poutine. 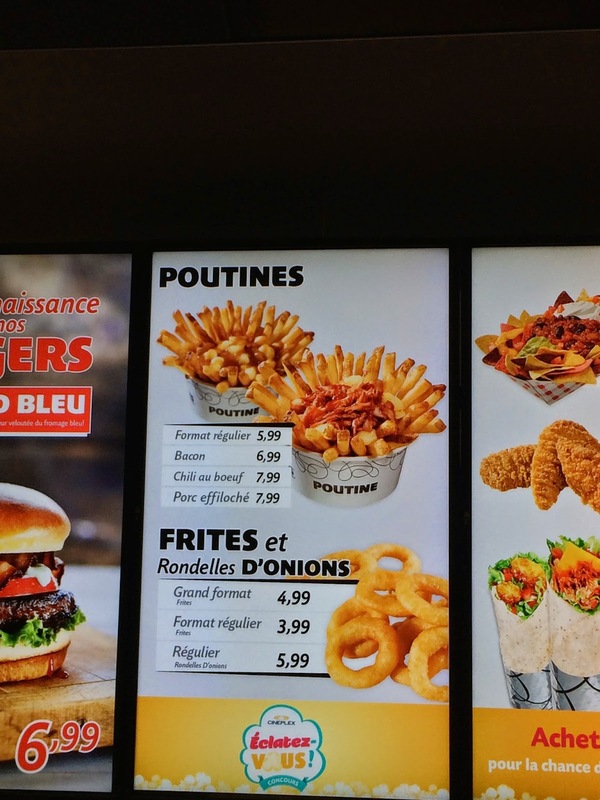 Fries were thicker than other fast food chains with a lot of gravy and not many cheese curds. The gravy sauce was dripping down before we started eating and also while eating. Fries were very salty and not crispy but mushy as if they're sitting for a long time. 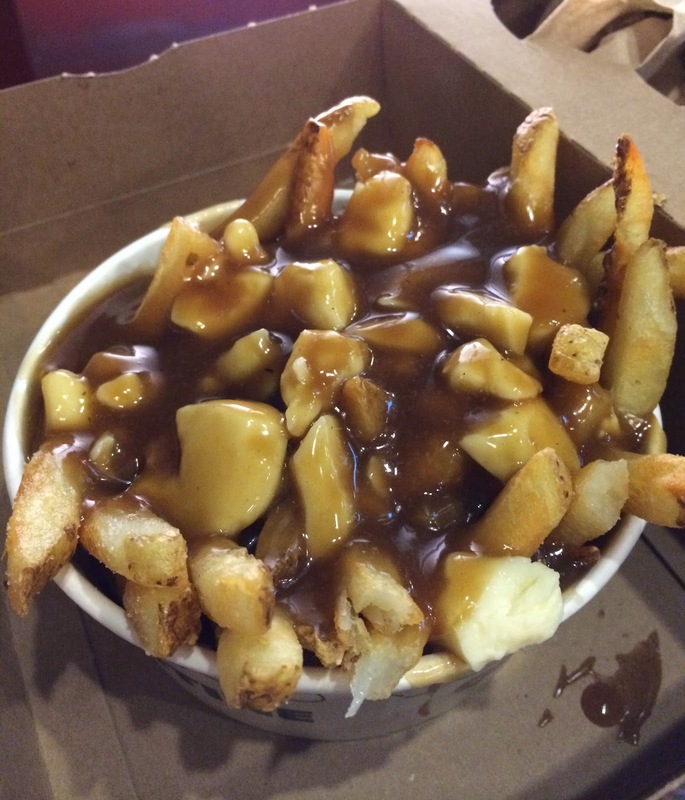 I think they use regular fries for this poutine which were lethally salted. The gravy was somehow bitter and didn't have any sweetness from meat. 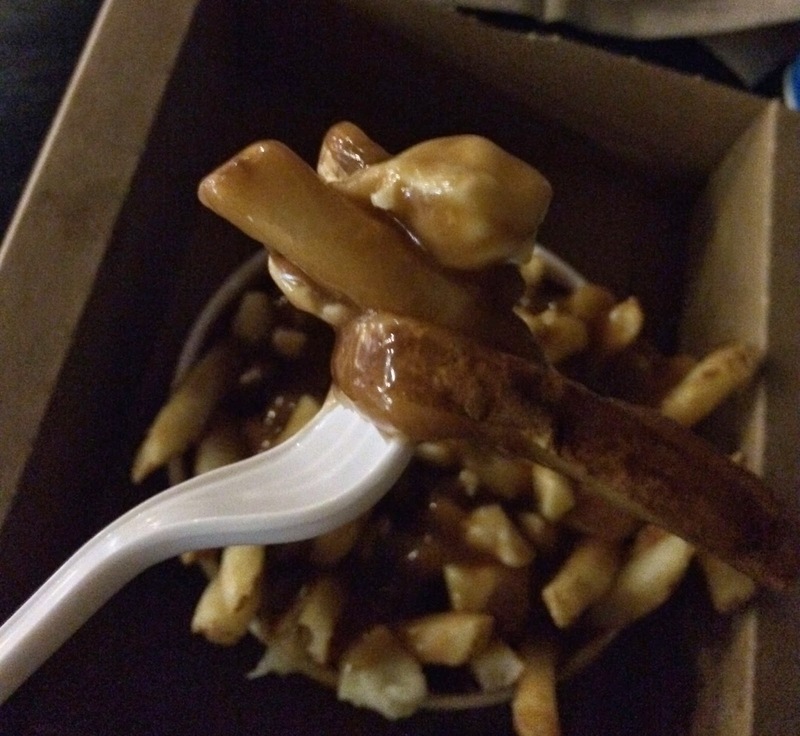 A pile of bitter gravy with soft fries was mediocre. The pouch of cheese curds they used was one of the popular brands that can be found at the supermarkets, but some cheese curds weren't squeaky but soft, so the whole thing was a failure.